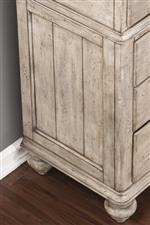 Pairing a distressed graywash finish with a brown finished tabletop is this cottage style nightstand. 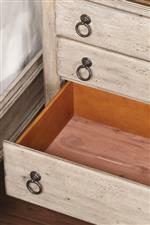 Elegant turned legs and wood moldings provide a classical look to the piece while antique bronze finished hardware provides a rustic feel to the unit. 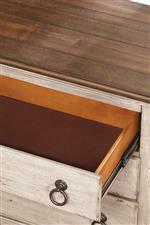 The bedside storage unit brings more than a pretty look to the bedroom thanks to a cedar-lined bottom drawer and a felt-lined top drawer. On the back panel is an electrical panel with a pair of outlets as well as a couple of USB ports. 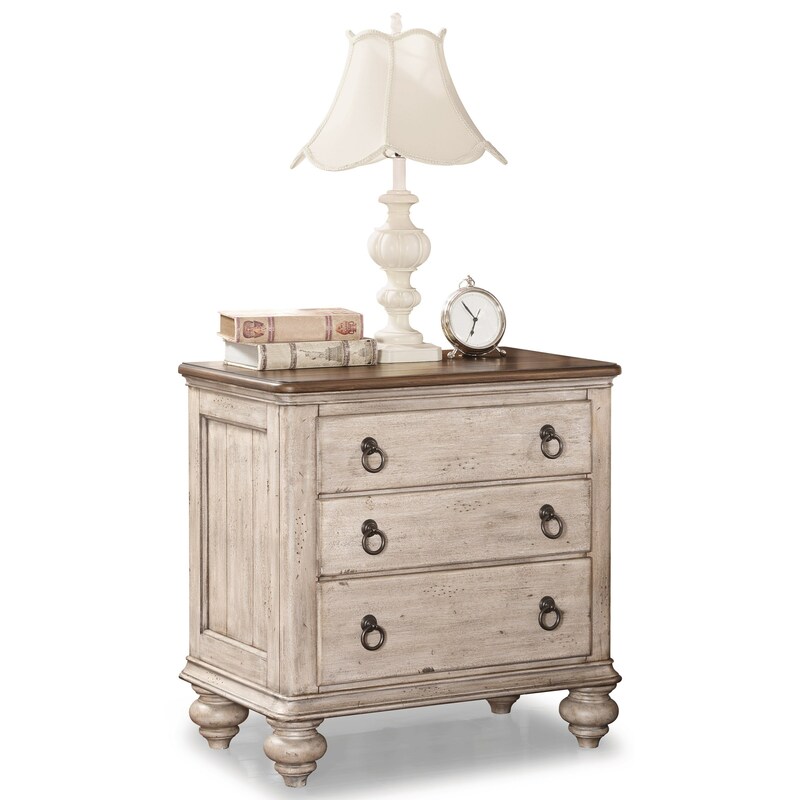 The Plymouth Cottage Night Stand with Built-In Outlets by Flexsteel Wynwood Collection at Zak's Home in the Tri-Cities, Johnson City, Tennessee area. Product availability may vary. Contact us for the most current availability on this product. Storage Three total drawers including a felt lined top drawer and a cedar lined bottom drawer. 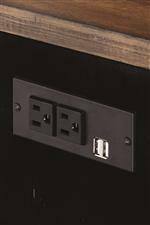 Back panel features a pair of electrical outlets as well as two USB ports.